Showing results for tags 'Bf109'. Bf109G-10 (Erla) set is intended for Revell 1/32 kit. The kit allows to solve major nose section shape problems such as slim, narrow appearance, incorrect spacing between MG troughs, strange “dent” under supercharger intake, oil cooler fairing shape and other small details visible on nose surface. Basic set RC3214 consist of four resin details and will be available also in bundle as RP3214 with our PE sets (exhaust pipes shrouds and steel oil cooler meshes). RC3214 parts list: Cowling for Bf109G-10 – 2 pieces Supercharger intake – 1 piece Oil cooler – 1 piece. 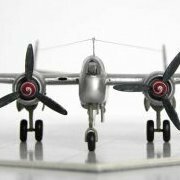 RP3214 parts list: Cowling for Bf109G-10 – 2 pieces Supercharger intake – 1 piece Oil cooler – 1 piece PE parts fret – 2 piece. This is the 21st-Century Toys 1/32 Bf109G-14, 'tweaked' to represent the similar late-model Bf109G-6 which was the last wartime mount of Finnish ace (and Mannerheim Cross recipient) Nils 'Nipa' Katajainen. Katajainen had joined the air force reserve in 1939 and fought in the Winter War, was discharged in 1941, then returned to service only a few months later during mobilization for the Continuation War. He amassed 17.5 victories flying Brewster Buffaloes before converting to the Bf109 in May 1944, and was to add another 18 kills to his tally flying the Mersu. Having lost his regular mount to combat damage during a sortie 2 days earlier, 'Nipa' was flying MT-476 'Yellow 7' in July, 1944, escorting bombers in an attack on Soviet shipping. After being engaged by defending Yak-9 fighters, he downed one Yak before being hit by defensive fire from the ships, which badly damaged his Bf109. He barely managed to nurse the a/c back to his base at Lappeenranta, where he was forced to try to belly-land at high speed...but instead bounced and cartwheeled, ripping off first the wings, and then the shedding the engine. Miraculously, Katajainen was pulled from the wreckage unconscious but alive. After hospitalization and a slow recovery from his injuries, Katajainen was promoted before being discharged from the air force in November 1944; in December of that same year, he was appointed a Knight of the Mannerheim Cross, Finland's highest military decoration, for exceptional bravery. He was credited with a total of 35.5 aerial victories over 196 combat missions flown. Following the war, 'Nipa' went on to work in the civil service in Helsinki, before passing away in 1997. 21st-Century's kits have been well-reviewed elsewhere; they are simplified but reasonably well-engineered kits which benefit greatly from a little TLC. In this case, that involved an Eduard etch detail set for the cockpit, Radu Brinzan's neat harnesses for the pilot's seat, and some scratch-built bits like the Revi gunsight and items such as the aileron mass-balances which the kit omitted. Paints are Tamiya acrylics; decals came mostly from Eagle Strike's 'Augsburg's Flyers Part III' sheet (#32037), with substitute aircraft numbers made up on my inkjet printer to represent Katajainen's last a/c. Hope you enjoy! New book on SCW Bf109 just out. "What General Wegand called the Battle of France is over,I expect the Battle of Britain to begin.Upon this battle depend's the survival of Christian civilisation.Upon it depend's our own British life and the long continuity of our Empire and institution's" Winston Churchill 18th June 1940. Right that's the historical bit,I love Aircraft and since the eight year old me was taken to see The Battle of Britain have been enthralled by event's during the summer of 1940.I bought Johnny Kent's account of his career in the RAF last week and now plan to read Geoffrey Wellum's account when I borrow it off my eldest.I have a terrible track record in this section with the last four or five project's either dead in the water or still half finished! 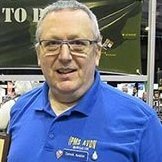 I'm aiming for a end of year finish so no rushing Tamiya's two old but still very good kit's,Box scheme for the Luftwaffe tribute not sure on the Spitfire yet be a week or so before I get a start. Hi all, I completed this kit around the beginning of the year and along got round to photographing it now. I found the kit to be rather enjoyable as I did not have major problems with it. As for the painting this was the first that I attempted pre-shading and post-shading. I used my usual Vallejo model air colours with weathering done with a dark brown oil wash as well as some chalk pastel smoke stains. Constructive criticism is very much welcome! Hello guys; After my last model built (Bf109E7 1/32 Eduard), I spent a little time working in this beautiful kit. I used interior and surfaces sets by Aires, Barracuda mainwheels, flaps by quickboost and Mastel PL barrels. Xtradecal decals was used. Cheers! Fine Molds Bf109G-2/R6. The G-2 was the non pressurised version of the G-1 and was the main production model until they swapped to the G-4. This is one fitted with the R6 modification, which consisted of a pair of MG151 20mm cannons in pods under the wings. This gave a useful boost to the firepower, for shooting down bombers but reduced speed and agility for combatting enemy fighters. The Fine Molds kits are the best kits around for Bf109F/G and K models with similar quality to Tamiya and Hasegawa but you do pay extra for it. Despite their cost, anyone who is a fan of 109's and builds in 1/72, should get at least one of these excellent kits! This one is painted up as a JG54 Grunherz aircraft, in a fresh coat of winter whitewash over the camouflage. Please ignore the wonky headrest, I only noticed it after taking off the canopy mask! What do you do when there are 2 excellent colour profiles in the box! Easy, Romanian to port and German to starboard! Hope you like it.